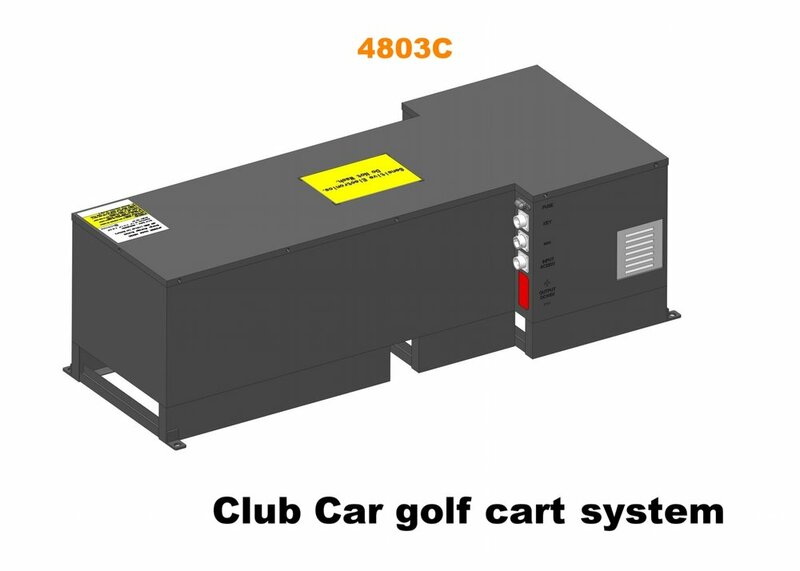 48V Golf car battery systems for EZ-GO and Club Car vehicles. These systems are designed to be drop in replacement for lead acid batteries, and they are extremely easy to install. The benefits of Lithium Ion battery systems include much shorter charging time and significant saving in electricity bill, no maintenance, longer lifetime, lighter weight, and etc. ePOWER4803C and ePOWER4803E are integrated golf car battery systems with a 48V 3KWh Lithium Ion battery pack. The battery configuration is a 16s1p 60Ah pack. It is typically programmed with 80%DOD, or 2.4KWh usable storage capacity. 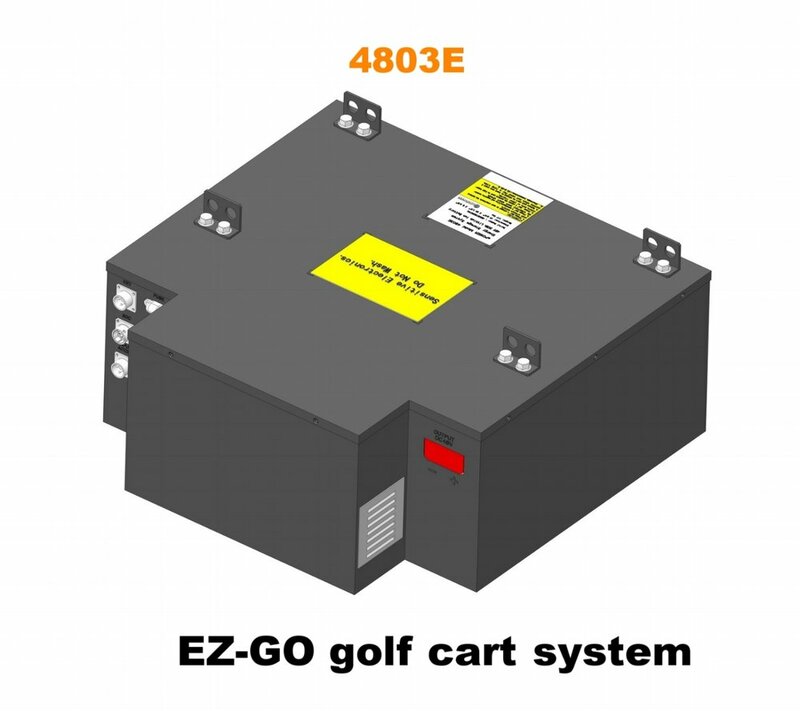 ePOWER4803E system fits in EZ-GO golf cars and ePOWER4803C fits in Club Car golf carts. Battery management system, control circuits and battery charger are included in the system. It is simple to install and use. It includes an On/Off switch, a state-of-charge (SOC) gauge, a DC main power connector, an AC power input socket, as well as a video output port for diagnostics.